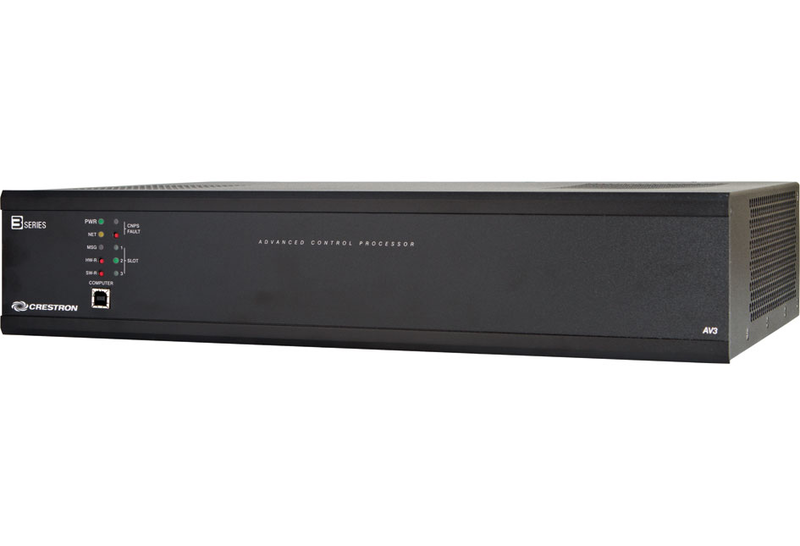 The Crestron® AV3 is an enterprise-class control system with an enhanced feature set including built-in control card expansion slots and a dedicated Control Subnet port. Featuring the 3-Series® control engine, the AV3 forms the core of any modernnetworked home or commercial building, managing and integrating all the disparate technologies throughout your facility to make life easier, greener, more productive, and more enjoyable. 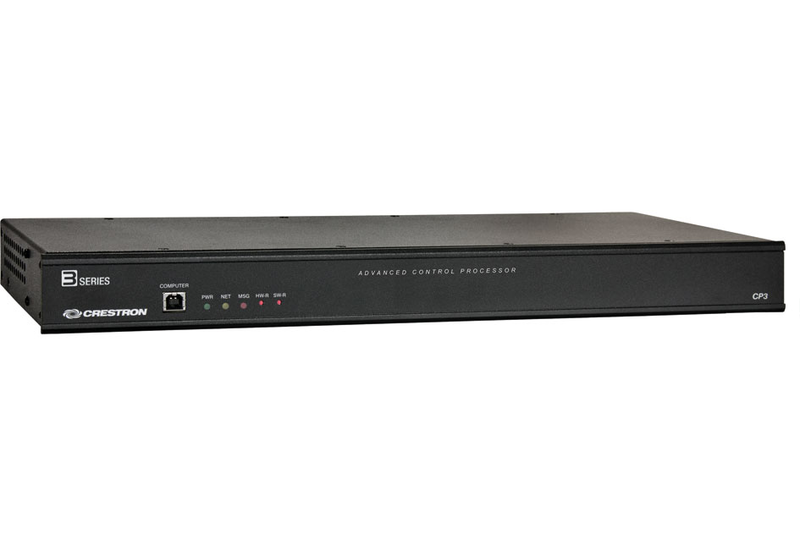 The Crestron® CP3 is an enterprise-class control system for residential, commercial, and government applications. Featuring the 3-Series® control engine, the CP3 forms the core of any modern networked home or commercial building, managing and integrating all the disparate technologies throughout your facility to make life easier, greener, more productive, and more enjoyable.